This entry was posted in Computer, Database, MariaDB, Murmuring, MySQL, Software and tagged alter, change, cluster, database, db, ddl, galara, method, mysql, online, operation, osu, percona, pt, rdbms, rsu, schema, table, toi, wsrep, xtradb on March 26, 2019 by Gea-Suan Lin. This entry was posted in Computer, Database, MariaDB, Murmuring, MySQL, Software and tagged binlog, database, db, google, gtid, master, mysql, percona, rdbms, replica, replication, ripple, slave on March 16, 2019 by Gea-Suan Lin. This entry was posted in Computer, Database, MariaDB, Murmuring, MySQL, Programming, Software and tagged availability, booking, database, db, high, lag, master, mysql, rdbms, read, replication, server, slave, split, stale, write on December 1, 2018 by Gea-Suan Lin. Recently we had a report from a user who had seen a stunning 90% performance regression after upgrading his server to a Linux kernel with KPTI (kernel page-table isolation – a remedy for the Meltdown vulnerability). A big deal of those 90% was caused by running in an old version of VMware which doesn’t pass the PCID and INVPCID capabilities of the CPU to the guest. But I could reproduce a regression around 40% even on bare metal. This entry was posted in Computer, Database, Hardware, Linux, MariaDB, Murmuring, MySQL, OS, Security, Software and tagged aria, cpu, feature, issue, kernel, kpti, linux, mariadb, meltdown, mitigation, myisam, mysql, performance, security, speed, vmware, vulnerability on February 15, 2018 by Gea-Suan Lin. Starting today, you can create Amazon RDS database instances for MySQL, MariaDB, Oracle, and PostgreSQL database engines with up to 16TB of storage. Existing database instances can also be scaled up to 16TB storage without any downtime. The new storage limit is an increase from 6TB and is supported for Provisioned IOPS and General Purpose SSD storage types. You can also provision up to 40,000 IOPS for Provisioned IOPS storage volumes, an increase from 30,000 IOPS. Q: What are the minimum and maximum storage limits of an Amazon Aurora database? The minimum storage is 10GB. Based on your database usage, your Amazon Aurora storage will automatically grow, up to 64 TB, in 10GB increments with no impact to database performance. There is no need to provision storage in advance. This entry was posted in AWS, Cloud, Computer, Database, MariaDB, Murmuring, MySQL, Network, PostgreSQL, Service, Software and tagged amazon, aurora, aws, cloud, engine, iops, limit, mariadb, mysql, oracle, postgresql, rds, service, size, space, ssd, storage on November 23, 2017 by Gea-Suan Lin. Amazon RDS Reserved Instance size flexibility is offered in all regions for the MySQL, MariaDB, PostgreSQL, and Amazon Aurora database engines, as well as the “bring your own license” (BYOL) edition of the Oracle database engine. To learn more about flexible RIs, please visit the Amazon RDS Reserved Instances Page. Size flexibility does not apply to Microsoft SQL Server and the License Included (LI) edition of Oracle. This entry was posted in AWS, Cloud, Computer, Database, MariaDB, Murmuring, MySQL, Network, PostgreSQL, Software and tagged amazon, aws, cloud, cost, database, db, ec2, flexible, instance, license, pricing, rds, reserved, ri, saving on October 12, 2017 by Gea-Suan Lin. This entry was posted in Computer, Database, MariaDB, Murmuring, MySQL, Software and tagged configuration, database, db, default, difference, innodb, mariadb, myisam, mysql, percona, rdbms, settings, value on October 12, 2017 by Gea-Suan Lin. 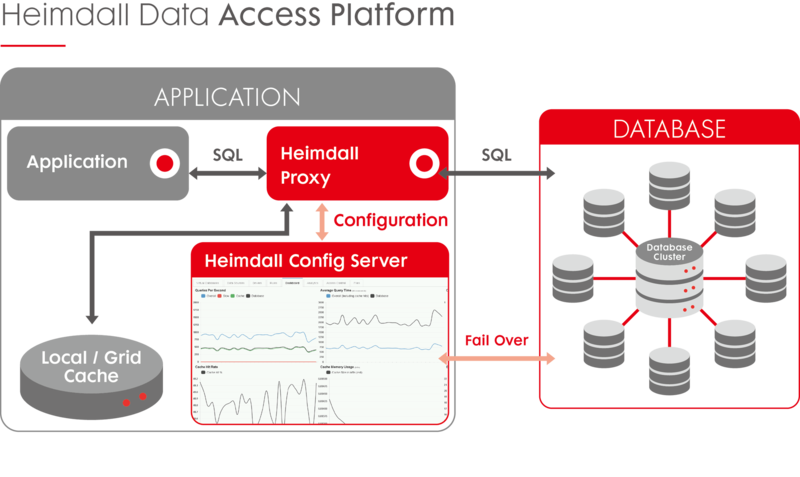 But what makes Heimdall Data unique in industry is its auto-cache AND auto-invalidation capability. Our machine learning algorithms determine what queries to cache while invalidating to ensure maximum performance and data integrity. Heimdall Data supports most all relational database (e.g. MySQL, Postgres, Amazon RDS, Oracle, SQL Server, MariaDB). This entry was posted in AWS, Cloud, Computer, Database, MariaDB, Murmuring, MySQL, Network, PostgreSQL, Service, Software and tagged amazon, aws, cache, cloud, db, invalidation, mariadb, mysql, optimization, oracle, performance, postgresql, proxy, rdbms, rds, server, sql on September 28, 2017 by Gea-Suan Lin. When sharding today, you have a choice of rolling your own system from scratch, using comprehensive sharding platform such as Vitess or using a proxy solution to assist you with sharding. For proxy solutions, MySQL Router is the official solution. But in reality, third party solutions such as open source ProxySQL, commercial ScaleArc and semi-commercial (BSL) MariaDB MaxScale are widely used. Keep in mind, however, that traffic routing is only one of the problems that exist in large scale sharding implementations. This entry was posted in Computer, Database, MariaDB, Murmuring, MySQL, Network, Software and tagged database, db, mysql, rdbms, sharding on February 2, 2017 by Gea-Suan Lin.